Check out all the knit and crochet action at the RAVELMPICS on Ravelry. Ravelympics ends on February 28, 2010. Get your own Olympics Bear for free at: Graphic Garden. 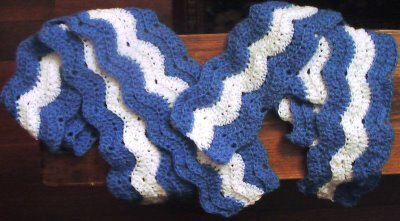 It is time to crochet or knit scarves for the Special Olympics again! The project is being sponsored by Coats and Clark again. You can read all about how to submit your scarf or scarves HERE. I loved this pattern that was designed by Darla Fanton. This time around, the scarves must be knit or crocheted from Red Heart Cherry Red or Grey Heather. I can’t wait to see all the beautiful scarves! 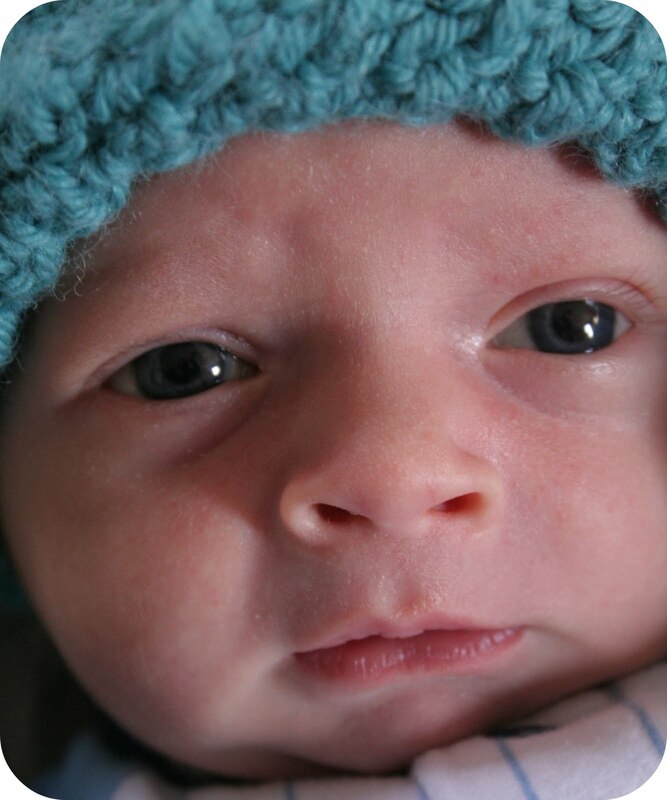 New crochet design, Jester Hat, worn by my new 10 day old grandson. 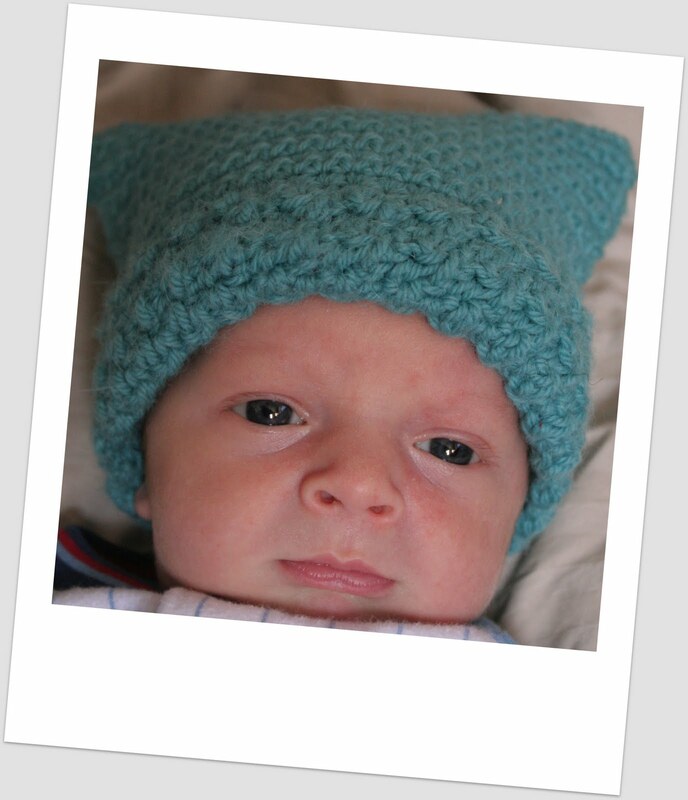 Hat is stitched in the new Stitch Nation yarn ‘Alpaca Love’ by Debbie Stoller and Red Heart.